Is your man a retired Rock God, someone looking to relive his garage band days or simply a gigantic music enthusiast? 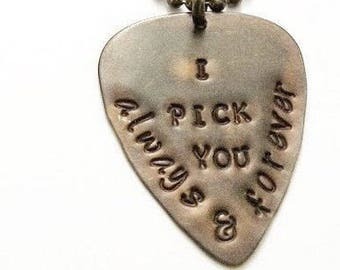 Play up to his inner Jimmy Page and decorate his neck or keys with a stamped guitar pick showing the world his coolness. 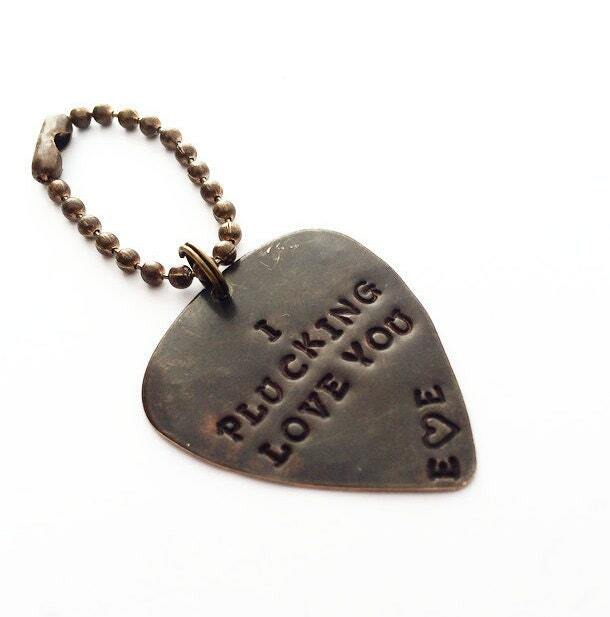 This particular pick is stamped with "I Plucking Love You." Two initials with a heart in between are added at the bottom. Please leave initials in the Notes.